This includes Saturday 3-course dinner at The Terrace Restaurant and Sunday 3-course dinner at Cascade Restaurant. Enjoy Dinner a 3-course dinner including rea and coffee at The Terrace Restaurant at the Denman Hotel. Another fabulous fun packed weekend away in the Snowy Mountains staying at the iconic Thredbo Alpine Hotel complimented by a fabulous drive through Alpine countryside via Dalgety, which our beloved Porsches have been designed to enjoy. Saturday evening will start at the Thredbo Alpine Hotel in the lobby bar for relaxed pre-dinner drinks before heading to The Terrace Restaurant at the Denman Hotel for a 3-course dinner including tea and coffee. 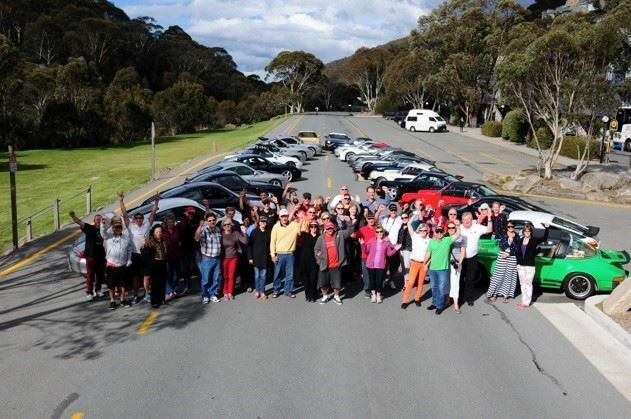 Sunday will be an exhilarating driving experience on great Alpine roads in and out of Victoria. A self-funded country lunch stop will be organised before returning to an idyllic village restaurant 3-course dinner with tea and coffee at Cascades restaurant, the Thredbo Alpine Hotel. Registration cost is $70 per person for Saturday night. This includes a 3-course dinner at The Terrace Restaurant, The Denman Hotel. Registration cost is $135 per person for Saturday and Sunday night. This includes Saturday 3-course dinner at The Terrace Restaurant and Sunday 3-course dinner at Cascade Restaurant. We have organised special rates at the Thredbo Alpine Hotel. In order to get these rates at 20% discount please book directly by contacting Nicole Thrum on 02 6459 4184 or Kristie on 02 6459 4299 or email Nicole_thrum@evt.com and quote you are a PCNSW member. All incidentals, lunches, drinks etc. will be at own cost. We recommend booking accommodation and event early to ensure you do not miss out.